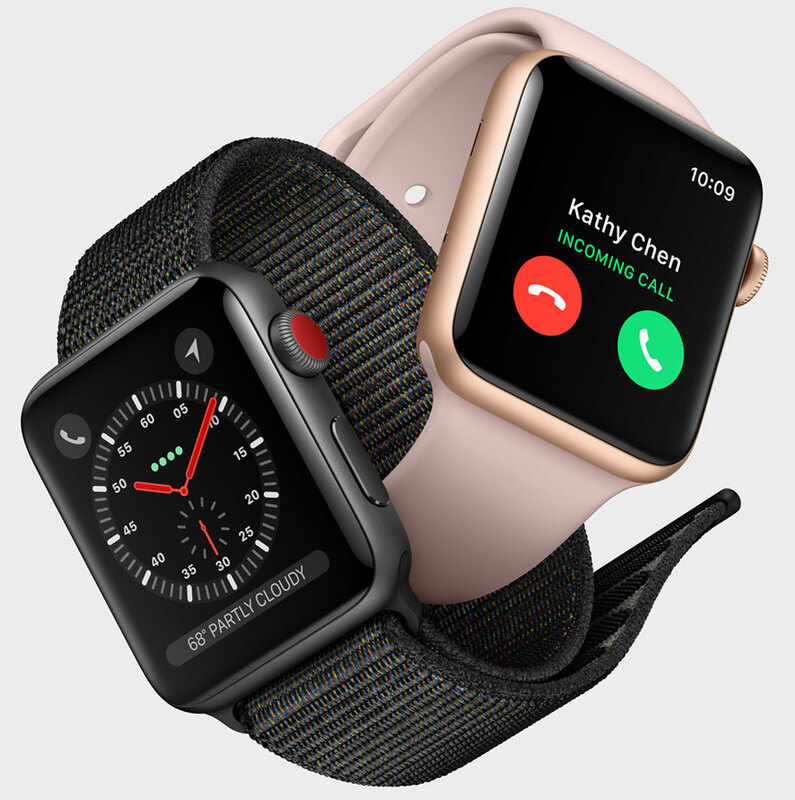 Apple introduced the third generation of its smart watch that attracted a great deal of attention since the day it was introduced into the market. The latest versions of iPhone and Apple Cinema Display products were also premiered in the same event, which is the first to be held within the Steve Jobs Theater in Cupertino, California. Apple Watch Series 3, which has almost the same features as its predecessors visually, contains significant innovations in terms of technology. Among them, the most notable is the newly added cellular connectivity feature. 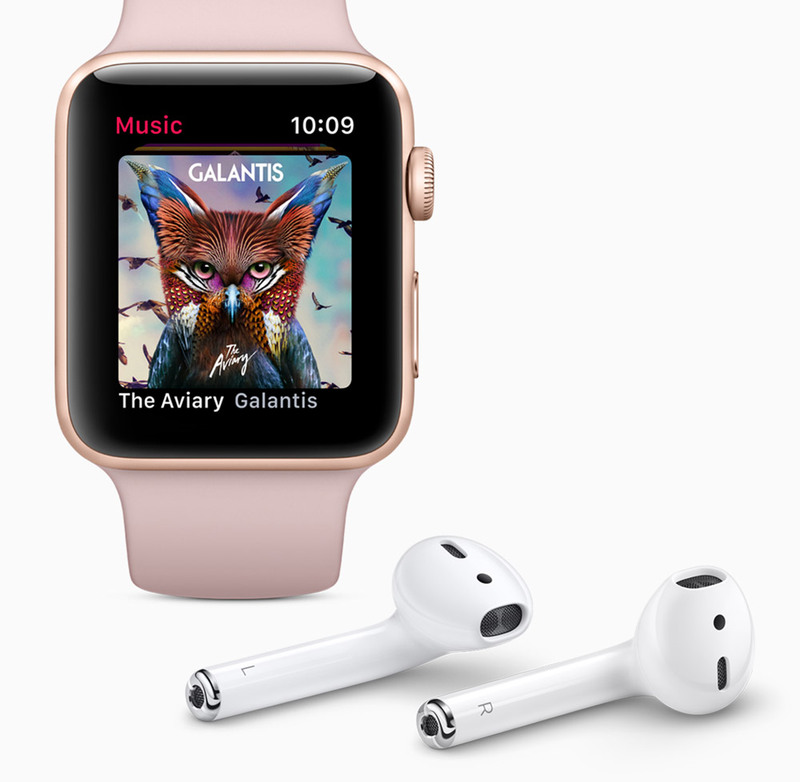 With this feature, Apple Watch Series 3, which is now a largely self-contained device rather than an iPhone accessory, aims to remove the dependency of its users to the cell-phones by offering basic functions like making calls, messaging and use other applications without having the phone. The new model includes a dual-core microprocessor that runs 70% more efficiently (according to Apple) than older generations. The Apple Watch Series 3 offers better quality connectivity with the new W2 wireless connection chip, which also reduces energy consumption by 50%. Thanks to its electronic SIM card feature that does not require a card or a card slot in the physical sense, the model does not waive its compact dimensions. It also succeeds in maintaining its fine structure thanks to the dual band antenna integrated in the screen. The size does not include any updates other than the rear sapphire crystal glass, which is designed to be 0.25mm thicker than the previous model. The new model offers a standby time of about 18 hours as in the previous generation. 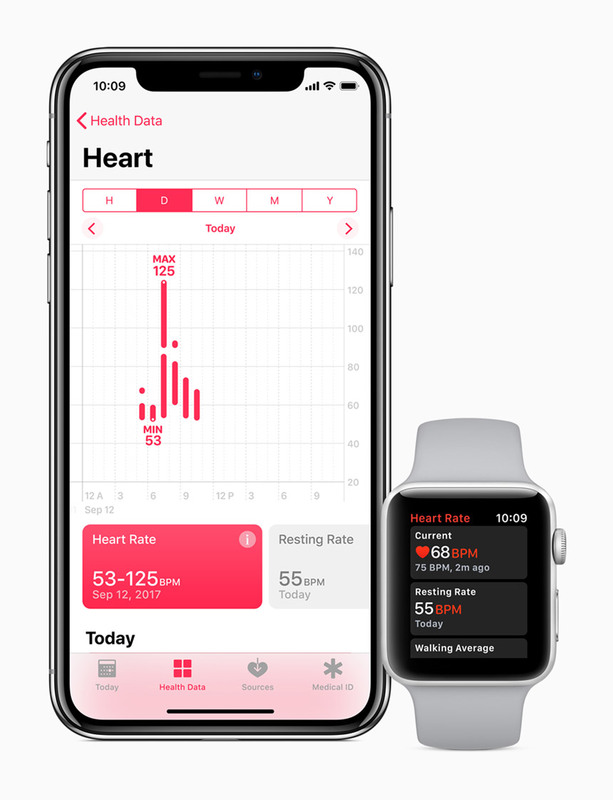 The Apple Watch Series 3 works with the watchOS4 operating system, which the brand introduced in June. As of September 19, the watchOS 4 is scheduled to become available to all Apple Watch users, including many upgraded apps from watchOS3 as well as new apps. 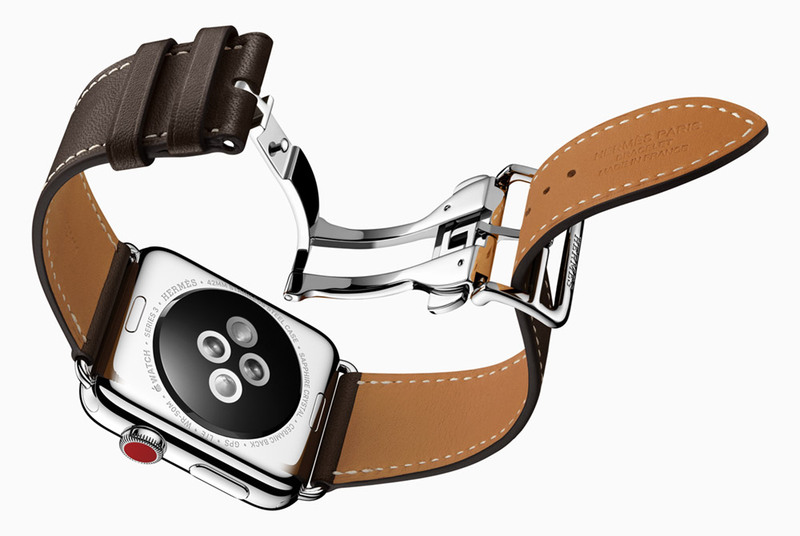 The new generation Apple Watch models are available in an aluminum case with a gold tone option in addition to the silver and space gray color options available in the product range. The ceramic option, which was available in white only, is now available in gray with the new model. 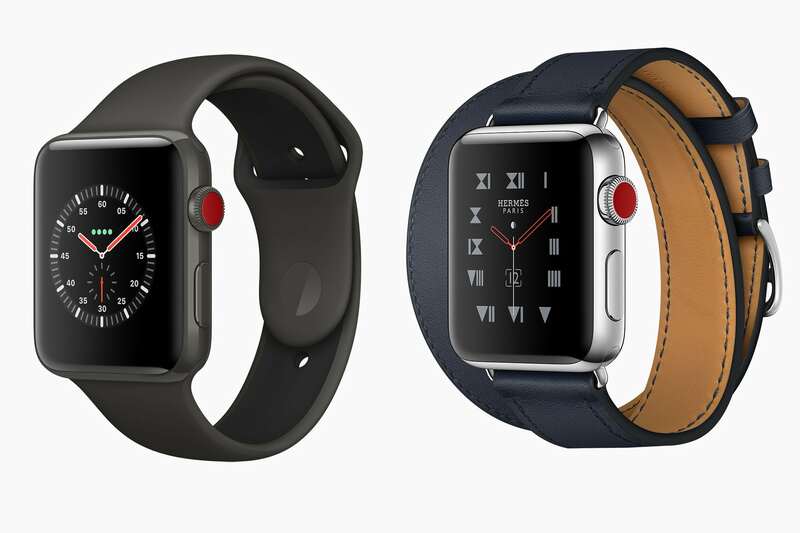 The new model is offered with a new fabric strap from Apple called “the sport loop", as well as a selection of Hermes-made leather straps, including a new model inspired by motorsports. 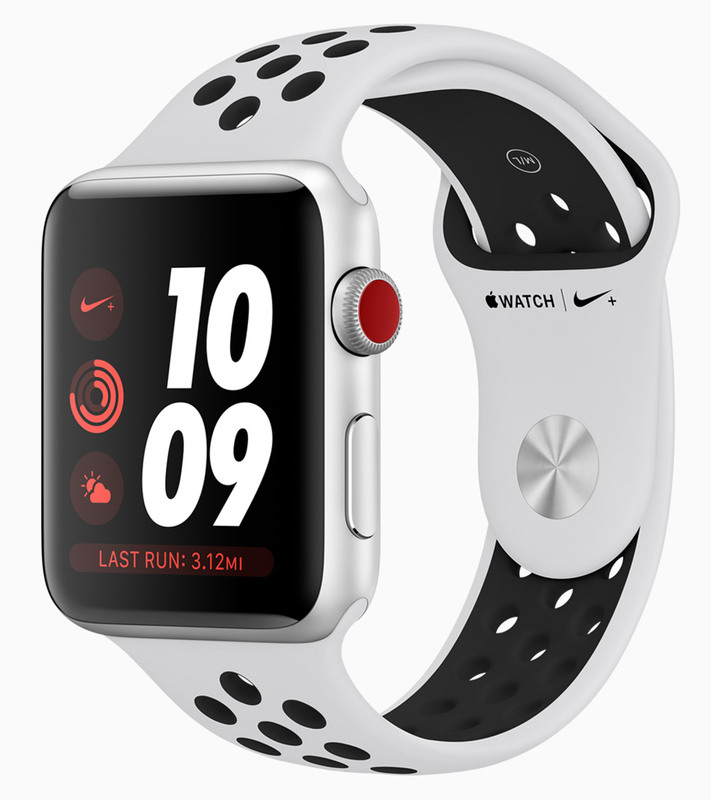 The Apple Watch Series 3 models, which will be available in two versions with and without cellular connectivity, are separated by a bright red dot on the digital winding crown. The starting price of for the cellular connection model is $399 while the model without the cellular connection feature is offered with $329 starting price (US list). Pre-order will be available by 15th September and the models will start to be delivered to their owners by 22nd September. The countries where the new generation models will be offered for sale together with the launch are as follows; USA, Canada, Australia, China, Japan, United Kingdom, Germany, France and Switzerland.